This project is devoted to implementation of Russia’s first Federal United Wireless Network (FOBS). It will embrace advanced wireless technologies one of which is AirMax. AirMax is a wireless data transmission protocol developed by the “Ubiquiti Networks” as the world leader in wireless technologies and is developing wireless technologies at Apple. “Fobscoin” is one of the projects developed by company MediaDom, Company “MediaDom” exists in the market for providing high-speed Internet in Russia for 4 years. The company is the biggest partner of the largest telecom operator in Russia – MegaFon. Our company generally covers more than 30,000 households and earns annual revenue of more than 40 million rubles. This project is devoted to implementation of Russia’s first Federal United Wireless Network (FOBS). It will embrace advanced wireless technologies one of which is AirMax. AirMax is a wireless data transmission protocol developed by the “Ubiquiti Networks” - an American company placed in Silicon Valley (CA). The founder is the same one who worked for Apple previously and developed world-wide known AirPort devices. 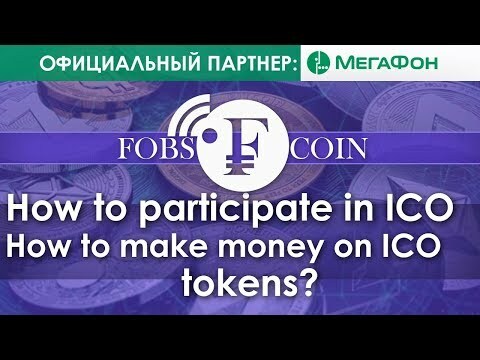 “Fobscoin” is one of the projects developed by company MediaDom. Company “MediaDom” was established in 2013 on the basis of Internet provider “Airbig” experts in hi-tech and communication. The company is the biggest partner of the largest telecom operator in Russia – MegaFon. MediaDom has been functioning since 2013. For that period of time a big wireless network based on AirMax technology has been built across Saratov region in co-operation with MegaFon. MediaDom’s major activity is wireless network equipment set-up and Internet provider to households, cottages and organizations in cities and in the country. Decentralized direct investments in Fobscoin project are necessary to get wireless Internet network free of impacts from government and commercial large companies – competitors. “Fobscoin” - is a financial tool, it will be landed on Etherium (ETH) blockchain platform. Launch of the Fobscoin project. Listing Fobscoin on an exchange. Conclusion of contracts for the purchasing in each region of the main Internet channels and link them up. Start of services and sales. Payment of dividends from all sold derivates Fobscoin.